The producer of a Hollywood film being shot in Scotland has described the Argyll and Bute area as “phenomenal”. 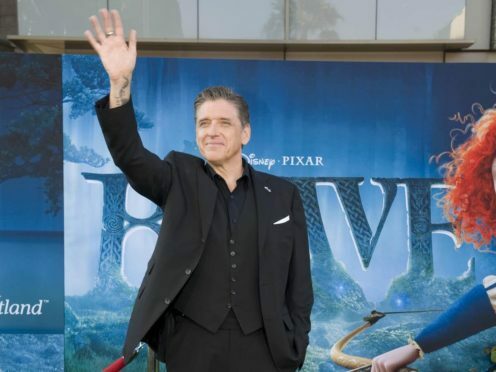 Love You To Death, starring Scottish former Late Late Show presenter Craig Ferguson and actress Kathie Lee Gifford, is being filmed at various locations including Lochgilphead town centre, Inveraray and Cairndow. The film’s 140 cast and crew have been accommodated at Drimsynie, Lochgilphead, and producer Matthew Weiner praised the area and its people. He said: “Our experience of filming in Argyll and Scotland as a whole has been phenomenal, we have never felt so welcomed and supported as Americans. “Every view is a postcard! In particular I would like to thank Argyll and Bute Council, Creative Scotland Screen Commission and all the people in Argyll who welcomed us along the way. “Filming in Lochgilphead has been one of our highlights. It’s a beautiful, historic lochside town which services film so well. Argyll and Bute Film Office and roads team, along with Creative Scotland, helped facilitate the production. In the film Gifford’s character Annabelle is a lonely widow who goes on her travels with her husband’s ashes to visit places the couple saw and loved in films. While visiting Loch Fyne, she meets Scotsman Craig Ferguson and her plans change dramatically. The filming follows Hollywood blockbuster Jurassic World: Fallen Kingdom which was filmed at Glen Mallan Jetty in Arrochar. Local councillor Aileen Morton added: “I’m thrilled to hear how much the cast and crew of Love You To Death have enjoyed being in Argyll and Bute, and I’ve heard there was a real buzz about Lochgilphead when the filming was taking place there. “And as much as it’s great fun to have these productions taking place on our doorstep, there are also real economic benefits attached.